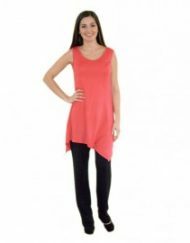 Our Bamboo top with half sleeves is a fashionable piece of women’s clothing. 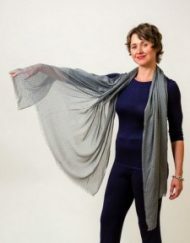 Worn all year round Bamboo like silk is a trans seasonal fabric and can be worn through every season. This top can also be warn underneath other clothes. Perfect for the winter months. 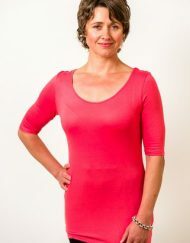 The Bamboo Tee with Half Sleeves are ideal to wear when travelling as they are so soft and comfortable to wear anywhere. Their versatility means they can be worn in several ways for different purposes ie inner or outer wear. 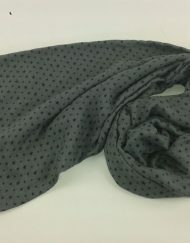 Because they are made of bamboo a natural fibre they have several properties such as breathability ensuring they are warm in winter and cool in summer. They also offer UV protection against harsh sunlight and are antimicrobial and antibacterial thus minimising any unpleasant odours. The Bamboo Tee with Half Sleeves are completely machine washable. The only safeguards are the following: Wash on a gentle cycle on your washing machine preferably in a washing bag. Keep the temperature to 40C. Do not use an enzymatic or alkaline soap. We recommend a gentle soap, mild shampoo or a wool wash product. Follow instructions on the swing tags.